Chinese President Xi Jinping kicked off his state visit to Pakistan Monday. The international community is eager to figure out how China will ratchet up its relationship with its "most reliable friend and all-weather strategic partner." The China-Pakistan Economic Corridor and regional security issues are also focuses of attention. 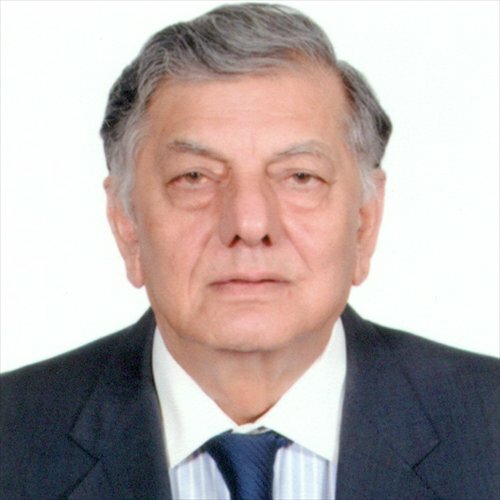 Global Times (GT) reporter Liu Zhun interviewed Riaz Khokhar (Khokhar), former Pakistani foreign secretary from 2002 to 2005, who gave his insights on China-Pakistan relations. GT: Why have both sides attached the greatest importance to this visit? What do Pakistan and China expect from each other? Khokhar: Pakistan-China relations have grown from strength to strength. President Xi's visit will greatly enhance the existing strategic, political and economic relationship between the two countries. It will also strengthen peace and security and spur economic development and connectivity in the region. Pakistan expects to benefit from the peaceful rise of China and its spectacular economic growth. The leaders will exchange views on topical global and regional issues, especially on how to jointly deal with the scourge of extremism and terrorism in the region. GT: The China-Pakistan Economic Corridor (CPEC) is expected to be elaborated during Xi's visit. However, the project has attracted criticisms as much as compliments in Pakistan. What do you think? Khokhar: It is reported that about two dozen agreements are ready for signature. The crown jewel will be the inauguration of the CPEC, which some serious experts believe will be a game changer, in terms of trade, investment, connectivity and regional economic integration. In Pakistan, the expectation is that China will offer substantial investments and loans to cover energy and infrastructure projects over the next decade. Some critics in the media questioned the nature and number of the projects. Some analysts insisted that the projects must be carefully scrutinized for transparency. However, these criticisms are directed at the Pakistani government instead of the Chinese government. Pakistan's government has to remove the smoke screen from the CPEC projects and openly outline how these projects will be for the greater good of the people. For successful completion of the CPEC projects, the government of Pakistan has to eliminate bureaucratic red tape and corruption, and adopt clear and sustained economic policies. Above all, political stability and respect for law and order are essential for ensuring a safe and secure environment for Chinese experts and workers in Pakistan. GT: Some people say that by ramping up its relations with Pakistan, China is trying to use Pakistan as a "role model" for China's neighborhood, What do you think? Khokhar: Many analysts refer to Pakistan-China ties as a "model" relationship. The determination to further enhance this friendship and strategic partnership is a mutual obligation. Relations between countries prosper only by concrete actions visible to the people and not by mere expression of pious sentiments. President Xi will be addressing a joint session of the Pakistani Parliament. This will be an excellent opportunity for him to elaborate on his vision on regional projects such as the "One Belt and One Road" program. Pakistan has already welcomed Chinese ideas on connectivity and economic development in an increasingly interdependent world. The CPEC project would not only be beneficial for China and Pakistan, but also for South Asia, Central Asia and West Asia and the Middle East. GT: A few analysts have leveled the criticism that Pakistan's attitude toward fighting terror was not very steadfast until the recent couple of years, when it started to deal heavy blows to the Taliban rather than turning a blind eye. Do you agree? Khokhar: Terrorism is a scourge for humanity. No country in the world has suffered more than Pakistan in fighting extremism and terrorism. It has paid heavily in blood and treasure - around 50,000 dead, thousands injured, and a loss of about $100 billion to the economy. Pakistan made an error in ignoring the presence of numerous sanctuaries in the tribal areas, virtually losing the writ over large tracts of land. But the situation has changed drastically. On June 10, 2014, Prime Minister Nawaz Sharif declared that Pakistan will no more be allowed to become a sanctuary for the militants at any cost. The Pakistani Army had launched a massive campaign, the Zarb-e-Momin operation, to destroy all the hideouts and eliminate terrorists without any discrimination. The operation has been successful at great cost, but is still continuing. GT: Security concerns and terror threats are believed to be the major barriers for China to expand its economic presence in Pakistan. How should the two address this problem? Khokhar: China's concerns about terrorism and security situation in Pakistan are valid and understandable. It is tragic that some Chinese citizens were killed and others were kidnapped and subjected to violence. Pakistan has taken Chinese concerns very seriously. President Mamnoon Hussain assured his Chinese counterpart that the Pakistani government has taken "very effective measures" to ensure the security of Chinese citizens and projects when they met in Shanghai last year. Pakistan and China also cooperate very closely and effectively on anti-terrorism in the border regions. The cooperation includes intelligence exchanges, joint counter-terrorism operations and hand-over of captured militants and terrorists. The two should also cooperate to identify hostile foreign elements, which create problems to undermine the solid relations between them.